The Pasta Factory has been on my radar for ages, after hearing about the fabulous vegan pasta dishes they offer, even making their own vegan Parmesan. 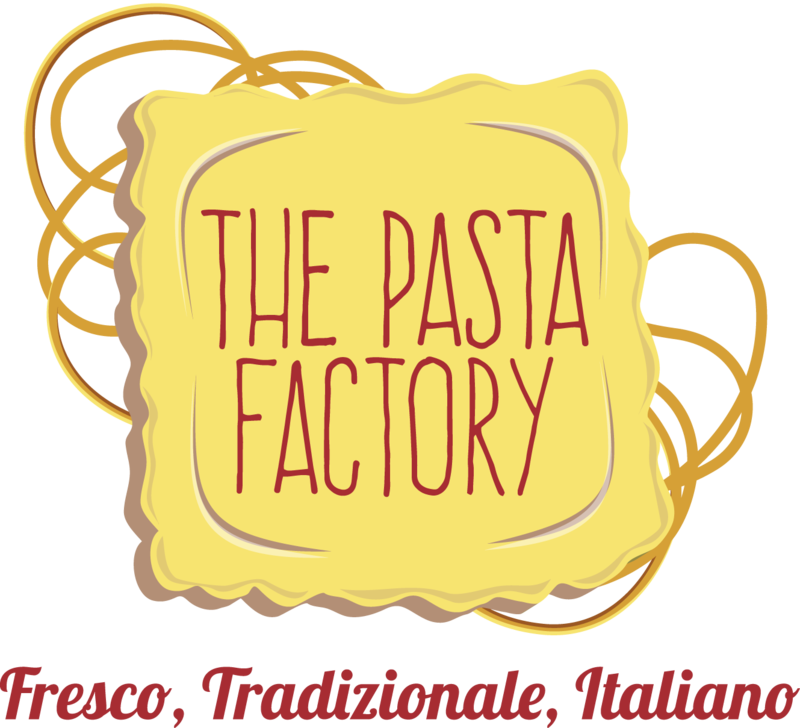 The Pasta Factory, pride themselves on their handmade pasta, using the freshest ingredients, so their customers can enjoy a 'piatto di pasta' a plate of pasta, which is one of my top dishes of all time. The Pasta Factory is lovely inside, light bright and airy, but was quiet on a Wednesday afternoon, at five o'clock, so I was able to take some great photos of the interior. We sat down and were handed menus by Andy, who explained in great detail, about the vegan and gluten free options. I was very impressed with the attention given to vegan options, unlike other Italian restaurants, where spaghetti with tomato sauce is the only choice. I enquired which wines were vegan friendly, to my complete amazement, Andy said all the wines and beers were vegan, so I chose an excellent Luca Bosio Langhe Arneis, from Piedmont. How fabulous to find somewhere that offers wines on their list, to appeal to all dietary requirements and top quality wines at that, it was gorgeous. My starter was off the specials board, a cannellini bean and mushroom soup, liberally drizzled with olive oil, the aromas were fantastic, before I even tucked in. The soup was velvety and smooth, and made me realise I need to improve my soup making techniques, to achieve such a creamy consistency, served with some bread, it made a delicious starter. Another waiter David brought me two slices of homemade vegan cheese to try, made with almonds, cashews, water and lemon. This was fantastic and would make a fabulous cheese course, with the dehydrated crackers, they serve for gluten free diners. 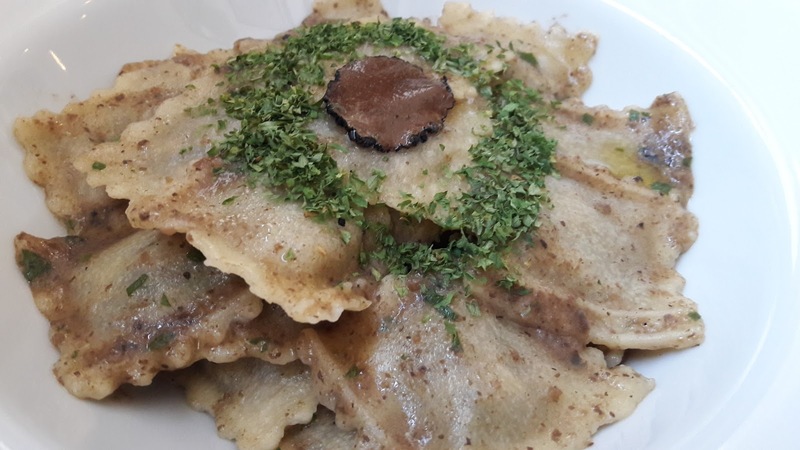 How could I not order their mushroom ravioli, in my thirty years as a vegan, vegan ravioli on a menu is a first for me, so it would be rude not to. The pasta was light and delicate, packed with mushrooms and cashews, in a gorgeous porcini mushroom and black truffle sauce, pretty much my perfect pasta dish. You can tell how much I loved it, by how many photos I have posted. To accompany the pasta, I was offered homemade vegan Parmesan in a kilner jar, to serve as I wished. Unfortunately I was unable to try it, as it had sunflower seeds in, which do not agree with me, but I did not want to appear rude, so Steven tried it for me and voted it spot on. I was too full for dessert, I should have had a lighter option than soup to start, but there were several options, a blueberry cheesecake or chocolate sorbet on the specials board and chocolate ravioli, a permanent fixture on the dessert menu. Overall I was immensely impressed with The Pasta Factory, the two guys looking after us Andy and David were so friendly and informative regarding ingredients and dishes. I love their attitude of cooking authentic Italian cuisine, with a vegan twist, so that everyone can dine there. Would I go back, of course, too many vegan pasta dishes I need to try. The Pasta Factory is highly recommended, it certainly exceeded my expectations.